These furry heralds of spring are active from March onwards and can often be seen hovering over flowers using their long tongues to feed on the nectar. 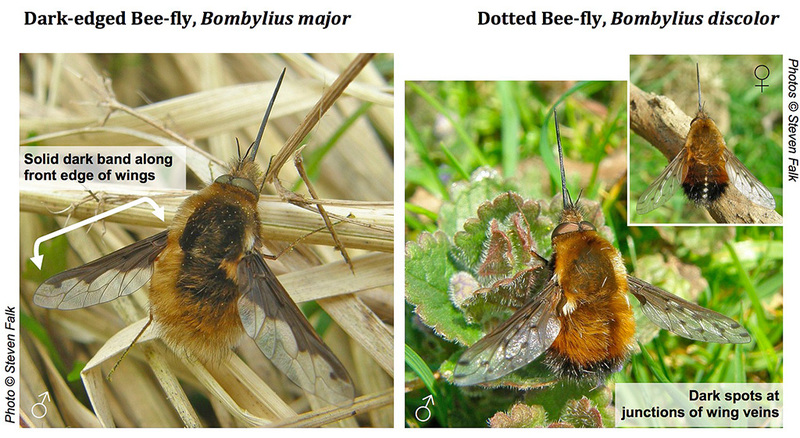 There are four species of Bombylius bee-fly in the UK but so far only one is known from Leicestershire and Rutland, the Dark-edged bee-fly (Bombylius major). However, another species is on its way to the Midlands, the Dotted bee-fly (Bombylius discolor). Will you be the first person to record this species in the County? There's a handy online bee-fly identification guide to help you. If you see an bee-flies please record them and your observations will become part of Bee-fly Watch 2019. They're having a good year.